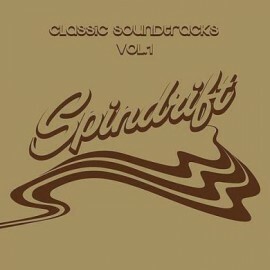 Spindrift's new full-length "Classic Soundtracks Vol. 1" is a soon-to-be classic concept album collection of what the band has always done best and in vibrant rich recording sonics. This album pushes further the band's experimentation. Spindrift layers their music with equal parts psychedelic, Spaghetti Western, Americana and old west with lots of fabulous hooks. Fans of surf, exotica, psychedelia, stoner-rock, soundtracks and all things desert sky can all converge together in a room with this band and groove. Adding to the dimensions of the music - the album and CD covers are embossed! Comes with free download code - including a bonus track!